I recently found a new mate … and all it cost me was fifty bucks. I’ve found myself at Mash Brewing a number of times so it seemed sensible to join their Mash Mate program and after getting my Mash bottle opener I think I would have joined purely for that! 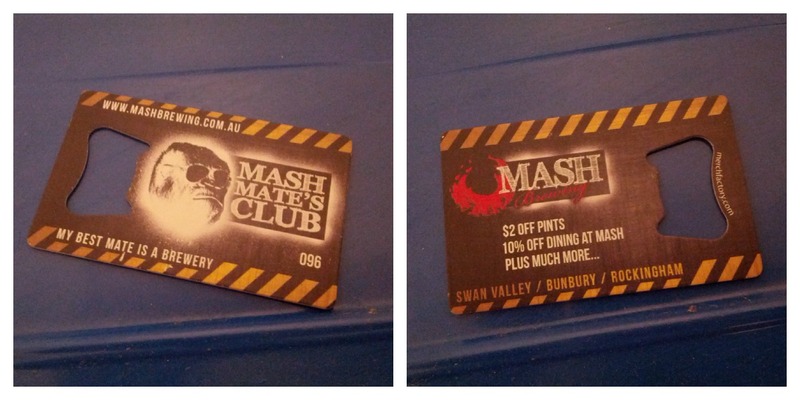 So with a free pint to redeem and a hungry belly my partner and I set about heading to Mash for a late lunch. We sat outside and enjoyed the varied view of Bunbury – a strange mix up of water, boats and coast beside a giant pile of what could be wood chips, mills and machinery that looks like giant Tonka trucks. It was nice to see kids enjoying the school holiday sunshine by launching themselves into the water though a few of the belly flops sounded as though they would have stung! 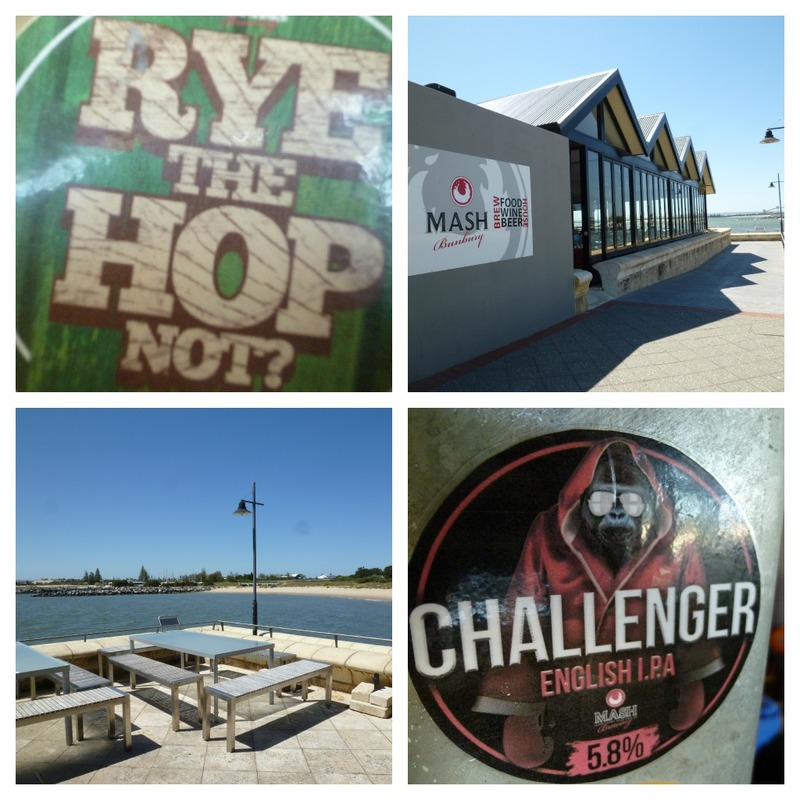 We tried out the Mash Rye the Hop Not and Mash Challenger English IPA with a Prawn, Cherry Tomato and Basil Pizza to share. The Rye the Hop Not is not only a fantastic name for a beer but a pretty good brew too, we think we order it every time we visit. Spicy, earthy and nicely hopped with a lingering bitterness. I really enjoyed the Challenger IPA too, it reminded me of the James Squire Stow Away IPA (hopefully Charlie won’t mind me saying) in that it’s nice to drink an IPA that’s not all about the hops and bitterness. The malts are beautifully balanced with the fruit and bitterness and I thought I got a nice little hit of pepper too, delicious! 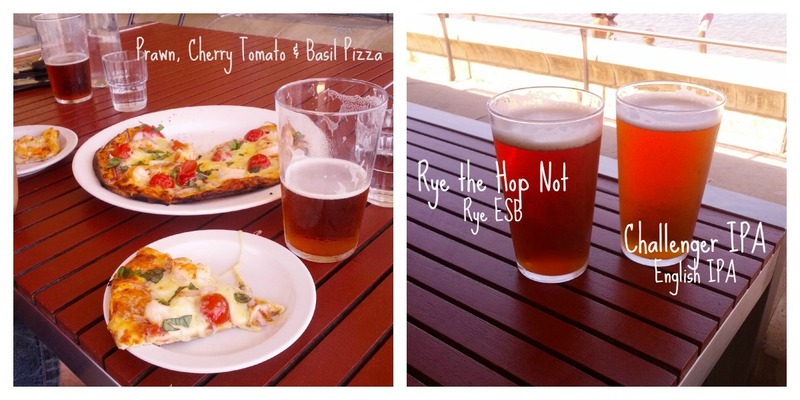 Both beers were a little dominating for the pizza which was tasty, generous with prawns and cheese though would have liked more basil to really bring out the flavours.